The 7 habits of effective homeschooling should be considered while you are considering homeschooling. I receive many emails asking me for advice about homeschooling. 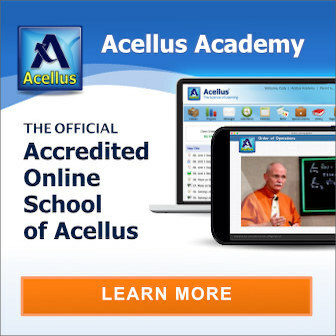 How do I start homeschooling? What's the best curriculum to use with a child who struggles with reading? 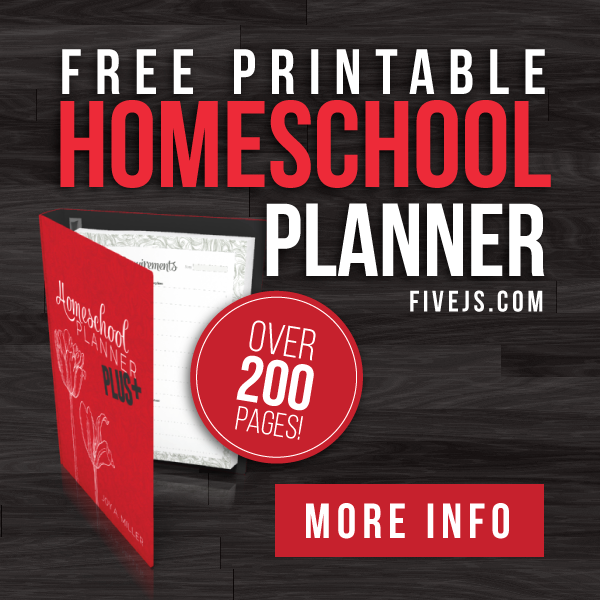 Can you tell me how to homeschool eight children at the same time? While I've homeschooled my children for many years, I still don't feel qualified to answer many of the questions that come my way. But if I were to summarize my advice about homeschooling, my list would look something like this. Before you begin your homeschooling journey, make sure you learn the homeschooling laws of your state. 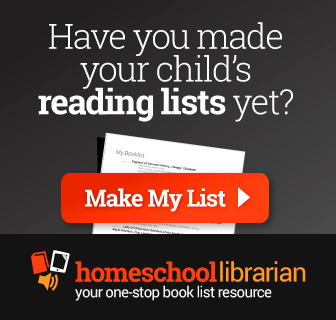 Read great books about homeschooling. 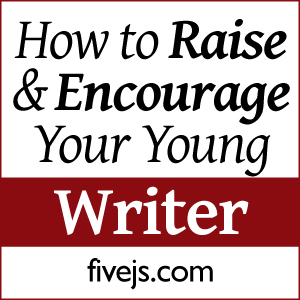 Subscribe to quality blogs written by homeschoolers like this one, this one, or this one. Investigate different homeschooling philosophies to see which one you are most interested in and relate to. But most of all, be prepared for the reality of homeschooling. Not every day will be an ideal school day—you and your children will have both good days and bad days. In fact, there's an ever-so-slight chance your children may not wake up every morning excited to take on the day's schoolwork. Just remember that having a bad school day does not mean you're failing at homeschooling; it just means you're normal! Don't try to homeschool alone. 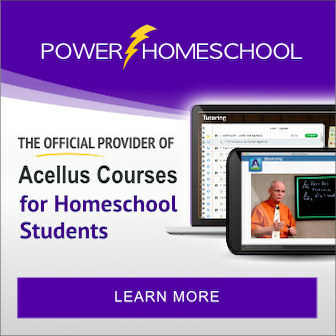 Find other homeschoolers and get to know them. They will probably be happy to answer your questions, provide valuable accountability, or simply hang out with your family. Remember your children learn social skills not only at home but also by interacting with other children and adults. And homeschooling moms need socializing too! 3. Consider throwing out the scope and sequence. To make sure that no nugget of information is overlooked while students are under their teachers' tutelage, education experts tell teachers what children are supposed to learn and when they are supposed to learn it. While a scope and sequence is often necessary in a public school classroom, don't assume that you need to follow a scope and sequence in your homeschool to provide your children with a quality education. 4. Be flexible until you find your sweet spot. If a curriculum isn't working for your child, find a new one. If your child learns better on the couch than at a school desk, then "do school" on the living room sofa. If your child struggles with learning a particular concept, spend extra time on it instead of pressing on to the next lesson. If you don't have time to prepare lessons, find a curriculum that doesn't require planning ahead. If your child is a visual or auditory learning, incorporate videos or audio books into your curriculum. If you or your child isn't a morning person, consider starting your school day later (maybe *gasp* even in the afternoon!). If your child works better with frequent breaks, consider switching your school calendar to one that has shorter terms and more frequent breaks. The options are endless. There's not one right way to homeschool, so just be flexible and find what fits your family best. 5. Teach your children to fish. In my opinion, the saying "Give a man a fish and you feed him for a day. Teach a man to fish and you feed him for a lifetime." should be the motto of every homeschooling family. Our job as educators is not just to fill our children's heads with facts and figures; we need to teach our children how to learn. So when your child asks a question he is capable of finding the answer to, have him find the answer himself. It's tempting—very tempting—to compare your homeschool with others, but don't do it! All homeschool families are different and children have different needs and different learning styles, and parents do too. There is no such thing as a perfect homeschool family. 7. Don’t miss the forest for the trees. Don't let homeschooling get in the way of the bigger picture. Why are you homeschooling your children? How will you measure your success as a homeschooler when all is said and done? Is it to get them into a good college? To help them become lifelong learners? Whatever your reason for homeschooling is, don't let the daily tasks and trials of homeschooling cause you to lose sight of your goal. 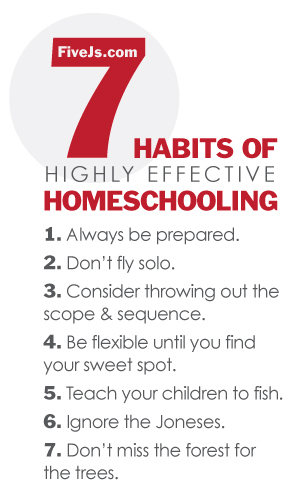 I am sure there are more than these 7 habits of highly effective homeschooling but these are the ones that I have embraced through the years I have personally homeschooled. Do you have any other homeschooling habits to add to this list? How do you homeschool when Mom is ill? Great advice! I think that is where I often get stuck, I try to follow state standards, when I need to listen to my daughter and follow her. Often times she is ready to move on sooner, and sometimes she needs to work on a few different areas. We have started doing more hands on and more research. I think it is very important a child knows how to find the answers to their questions. So true – and very needed in the 2nd week of classes as a reminder! I haven't been homeschooling long, but I threw out the "school at home" idea before we even started. I wish more people could see the other options, but like you said, there's no one right way. Suggesting parents learn the many approached and philosophies is great-that will help expand horizons so that families can be free to teach the way that works for them! Thank you. I needed these – especially #7. My teen and I have had a rough year transitioning into high school. I keep threatening to send her back to school. I need to remember why we started homeschooling her in the first place.